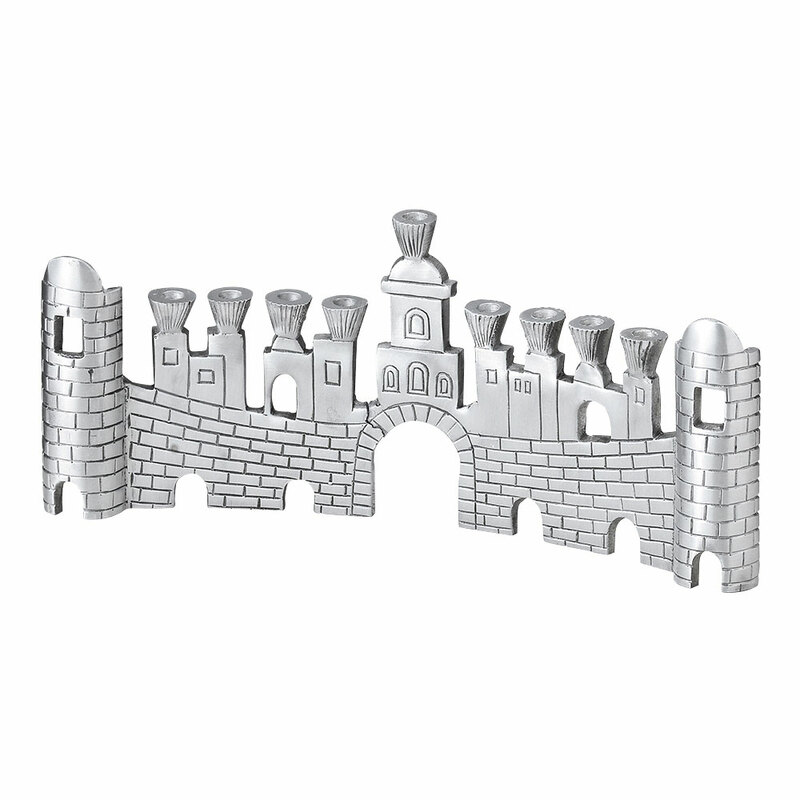 Aluminum Hanukkah Candle Menorah. 11" x 4 3/4". Original Jerusalem Wall design, gate to the old city.